This is not a direct-fit part. Some installations may require modification to the inner doors or the window regulator system. The UW1 window roll-up regulator kit is designed for street rods and older vehicles with flat door glass. This kit will work with most vehicles manufactured from the 1940’s through the 1950’s. 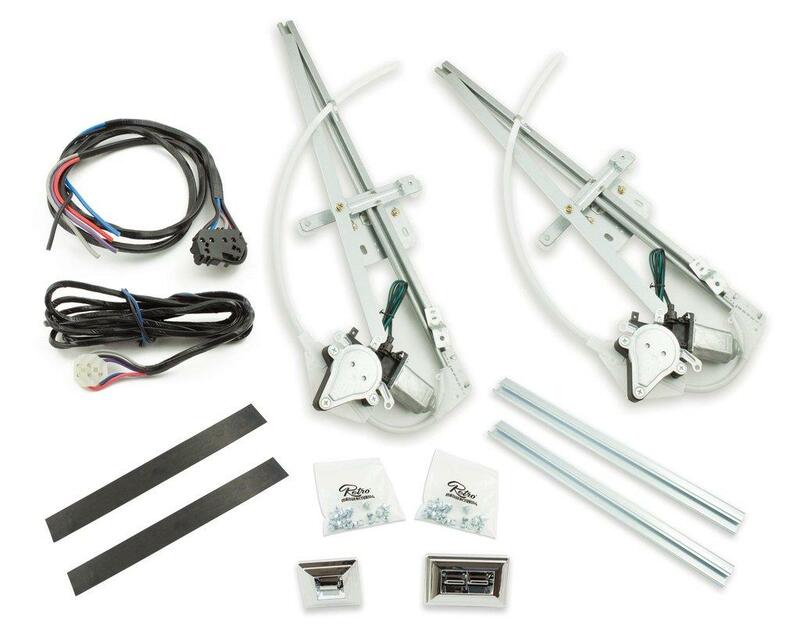 This kit includes regulators and motor assemblies for both driver’s side and passenger side. Each regulator has glass sash channels, which add strength to the bottom of the glass. Thin high torque motors can be mounted in slim doors and provide smooth window operation. The regulator is self-centering so that the window is fully seated in the sill when closed. This kit includes GM-style switches – double switch for driver’s side and single switch for passenger side – and custom wiring harnesses. A minimum 1 7/8 inches of door thickness and 5-inches below the glass is required when window is in down position.